PM Modi, in an interview to news agency ANI, said the ban on women between the ages of 10 and 50 was made on the basis of "tradition". A lawmaker of the Bharatiya Janata Party has tweeted his support for the entry of women to the Sabarimala temple in Kerala amid protest by his party after two women entered the hill shrine early on Wednesday. 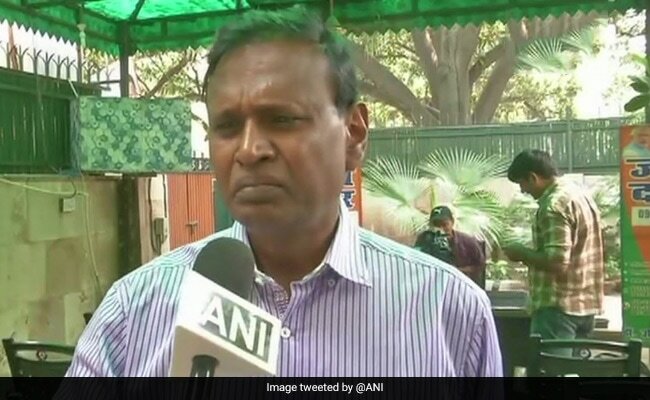 BJP MP Udit Raj, however, made it clear that he was making the comments in his personal capacity. "How woman can be impure when man is born from her. God is omnipresent means he is out of temple too. In the eyes of constitution both genders are equal," Mr Raj tweeted after two women in their 40s entered the Lord Ayyappa temple. Bindu and Kanaka Durga entered the hilltop shrine around 3.45 am on Wednesday, becoming the first to do so since the Supreme Court ordered the end of a decades-old ban on women of menstrual age entering the shrine. As news of the women's entry travelled, the shrine was shut down for an hour and a half for "purification". Kerala minister EP Jayarajan called it contempt of court, saying: "untouchability is against the law." PM Modi, in an interview to news agency ANI, said the ban on women between the ages of 10 and 50 was made on the basis of "tradition". BJP president Amit Shah has also pledged support to devotees protesting the entry of women of menstrual age into the hill shrine. The BJP and Congress have lashed out at the Pinarayi Vijayan government for enforcing the Supreme Court order. State BJP chief PS Sreedharan Pillai said the Kerala government will face the "wrath" of Lord Ayyappa. "The Communist leaders, their future generations, the Kerala government, all are not going to escape from Lord Ayyappa's wrath for all their wrong-doings at Sabarimala," Sreedharan Pillai said. The party is supporting a dawn-to-dusk shutdown in the state today.